Have you been accused of failing to identify the driver of a vehicle? 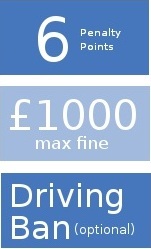 After a driving offence has occurred, such as speeding, the police investigate who the drivers involved were. They are legally empowered to ask you who was driving at the time of the incident. You are under a legal duty to tell a police officer who was driving if you are asked to do so. That obligation is imposed on you by law, under section 172 of the Road Traffic Act 1988. If you do not reply, you are breaking the law and will be charged with “Failing to Identify the Driver”. On this occasion, you do not have the right to silence, so even if you were the driver, you must still state who was driving. The request for information can be made by a police officer in person, or the police can write to you. Most people find themselves in difficulty because after the police have written to them, for whatever reason, the police did not get a reply within 28 days. Failing to identify the driver is an area where there is plenty of mistaken advice on the internet, some of which can be calamitous. It won’t help if you fill in the form but avoid signing it. Deliberately filling in the wrong name is itself a criminal offence, and you could face a fresh charge of “attempting to pervert the course of justice”. At their worst, these internet dodges can see you in jail, as this university graduate sadly found to her cost. There is a defence to not providing the information on who was driving. If it were “not reasonably practicable” for you to provide the information then you have not committed an offence. For example, some people simply never get the letter from the police asking for the information and seek legal advice for the charge of failing to identify the driver. al advice from a Scottish criminal lawyer who specialises in driving law.